Daniel Boone the 7th has traced his blacksmithing heritage back 15 generations to 16th century England. This book is a tribute to his (and Judy's) success as a full time professional blacksmith; this after having a long career as a welder. 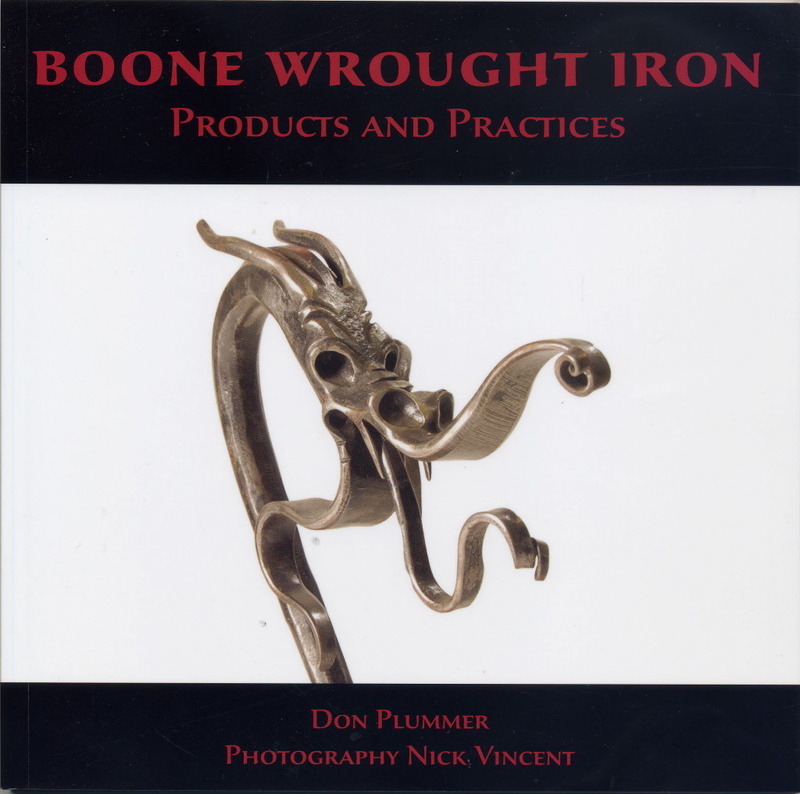 The book includes a brief bio, pictures of his shop and craft fair booth and a discussion on how he approaches the business of selling ironwork. This is followed by 6 chapters featuring the different types of ironwork he makes and sells. Along with the pictures there are brief sidebars which speak to various technical aspects involved in making the piece. This book is intended for 2 (often overlapping) audiences: first those of us who have come to know Dan and Judy Boone, who have attended their legendary “Pasture Parties” every February and who appreciate how much he has shared his knowledge of blacksmithing; secondly for any smith who would like to pursue a career as a full time professional blacksmith. This book is a blueprint of how to identify a niche clientèle and then produce the ironwork appropriate for that class of customers. The fact that Dan's devoted clientèle come back year after year to buy yet more ironwork from him, proves the validity of his business plan. In the final analysis this book is about the pictures, highly detailed color pictures that display all of the fine points of Dan's work. By studying these pictures, you can see a continuity of style through all the different types of home hardware. When you see one of Dan's pieces you can almost always recognize it as his work. His style is his signature. And I am not just talking about his dragons, but also his leaves, the way he wraps the joints, dimples the screw holes, etc.